It’s happened…. you’ve been arrested and are facing a criminal charge in New Jersey and have a date in Superior Court or Municipal Court. It can be extremely frightening to find yourself up against the massive New Jersey criminal and judicial machine. No one ever expects to be facing a criminal prosecution. But you need to figure out what to do about it… and a professional New Jersey Criminal Defense Attorney can help. I know you have lots of questions. Where can I find the best New Jersey criminal defense lawyer to help me? Are there New Jersey lawyers who are criminal defense specialists? Can I fight the charges and win? Or can I work out some kind of deal to avoid the most severe penalties? What could happen to me if I am convicted? Will I go to jail? Will this ruin my life? I can help you answer all of these questions. Most people are understandably very concerned and afraid about what may happen to them. The process of being arrested, jailed, bailed out, and appearing in court on a criminal charge is unpleasant and very stressful. It’s a terrible thing to go through, and I feel badly that you’ve had to experience this. I understand what you are going through. As a criminal defense lawyer, I am a witness to what it’s like to be caught up in the New Jersey legal system everyday. And now you have to face the fact that your New Jersey charge can have serious consequences and potentially harsh penalties. But don’t give up hope. There are many things we can do to protect and defend your rights and freedom. That’s what I do everyday as a New Jersey Criminal Defense Attorney, for people just like you. Yes, there are. My name is Matthew Reisig, and I’m a Certified Criminal Trial Attorney in New Jersey. In fact, I am one of a small number of lawyers who has been designated as Certified Criminal Trial Attorney by the New Jersey Board on Attorney Certification. To acquire this qualification requires a rigorous examination in a technical criminal specialty, and I’m proud to have achieved this recognition. These designations make it easier for people like yourself to know which lawyers are the recognized specialists. My offices are in Red Bank & Freehold, NJ, but I work as a Criminal Defense Attorney in NJ in every Criminal Court across New Jersey. While you may think you have no defense and little hope in your case, you may be surprised to learn that even cases that seem very bad, can often be won. At worst, I may be able to significantly reduce the penalties you are facing with my knowledge of the system and some smart, tough negotiating. Many not guilty verdicts in jury trials with clients facing serious criminal charges and jail time, including aggravated assault, carjacking, kidnapping, terroristic threats, drug charges, and more. I also handle plenty of minor criminal “disorderly persons” offenses. You can get the benefit of someone with serious experience in difficult cases, even if you are only charged with a relatively minor assault or drug possession offense. *Results as of December 1, 2011. This information should not create an unjustified expectation that similar results can be obtained for others without regard to the specific factual and legal circumstances. An experienced defense attorney like myself will quickly seize on the best defense strategies that apply in your exact situation, depending on the circumstances of the charges and your arrest. I’ll dig hard to be sure to raise any relevant constitutional issues, under either New Jersey or Federal law. My goal as your New Jersey Criminal Defense Attorney is to fight every issue the state brings up, to make your case as strong as it can be, and show you why I consider myself to be one of the best Criminal Attorneys in New Jersey. Every case starts with my free criminal case evaluation, instantly over the phone – (888) 628-8394 – or in a meeting. That’s where we explore exactly what your best options are, and you can decide for yourself how to proceed. So lets get started…pick up the phone and call (888) 628-8394. Can We Fight and Win A Criminal Case In NJ Or Should I Plead Guilty? There are two choices in every New Jersey criminal case. We can fight the charges in court with everything we have: argue for a dismissal, or prepare the case for trial and work for a not guilty. The other option is to negotiate hard and work the system to get the best possible plea deal, and a penalty that you can live with. It is a big mistake to just take any offer without evaluating your legal defense options to fight the case. But for some people, a reasonable plea agreement makes sense. I do like to fight cases in court, but any good New Jersey Criminal Lawyer understands that the needs and wishes of the client are the most important thing. I will help you decide what is best for you. 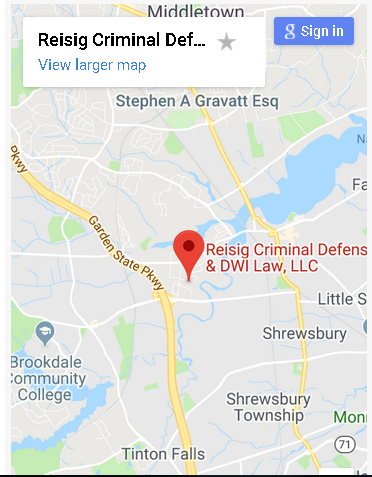 Whichever direction you are leaning, taking advantage of my legal consultation and case evaluation on any New Jersey criminal matter is in your best interest. Honestly, it’ s pretty much a no-brainer, since it’s free, and you have nothing to lose. If we decide to fight your case, that’s when you’ll get the full benefit of my training and experience. 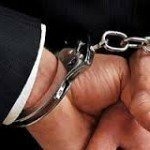 As a Certified New Jersey Criminal Defense Attorney, I’ll use every imaginable legal defense technique available to fight the charges. I’m prepared to challenge every statement and claim made by the defense, to try to prove their case. Motion to suppress evidence against you. Any search and seizure or vehicle stop must be done in accordance with legal and constitutional guidelines, or any evidence gained is inadmissible. Motion for discovery. How we find out what evidence the prosecution has against you, including police reports, chemical tests, substance analysis, witness information, and more. Motion for speedy trial. If your trial has been delayed, you may not be able to get a fair trial, and the case should be dismissed. Subpoena witnesses. Witnesses may need to testify to what they know if information we’ve discovered if it helps our case. I can give you an even more detailed overview of the ins and outs of what goes into putting together a New Jersey criminal charge legal defense if you would like me to. But you probably really want specific and direct advice about your case. That’s what matters to you. I will talk to you about your situation, how the New Jersey criminal laws apply in your specific circumstances, what penalties you may be facing, and most importantly, what I can do to help you fight the charges, down to specific defense strategies I will employ in your defense. What’s more, I’ll offer you this kind of valuable information at no cost to you, as part of a free initial consultation. Depending on the situation, I may be able to offer you this free consultation over the phone, or it may make sense to meet in person so I can carefully examine the police report and other documents in your case. During our talk, you’ll learn how I will guide you through the court system, how I approach criminal defense in general, and how I’ve handled cases like yours in the past. I’ll also tell you about my fees, up front. In most cases, I’ll let you know my exact legal fees up front. That way there will be no surprises, and you can make a fully informed decision about the benefits of hiring me to defend you. 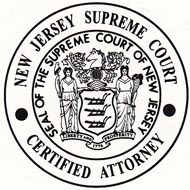 Penalties for New Jersey crimes and disorderly persons offenses vary considerably, but you may be facing, serious jail time, high fines, loss of driver’s license, community service, drug or alcohol treatment and counseling, probation appearances, and many other possible life changing penalties, if you are convicted of a criminal charge. Please review the information on penalties on my criminal charges page for some basic facts and possible punishments for many New Jersey criminal charges. What’s more, a criminal record could follow you for the rest of your life. Even a seemingly minor conviction can restrict you from many career options, limit your travel to other countries including Canada, and impact you in thousands of ways you’d never think of. Given that internet background checks are cheap and simple, your criminal record is no more than a few clicks away from any prospective employer, landlord, girlfriend, volunteer organization, nosey neighbors, or anyone who cares to look into your past. 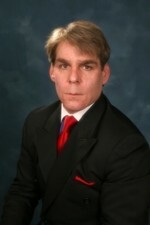 So there are countless reasons to get the best NJ attorney you can to fight any charges against you. The bottom line is that you need a New Jersey Criminal Defense Lawyer who knows the system and who will use the Constitution as well as the New Jersey Criminal laws for what it they were intended – to defend and protect your rights. That’s what I do, and why I get up every morning. I will fight and claw to get you every legal protection under the law. Let me mention a few important things about me that you might like to know. As one of the small number of attorneys who’ve gone through the effort to become recognized as a Certified Criminal Trial Attorney in New Jersey, by the New Jersey board on attorney certification. I work on criminal defense exclusively, so I am completely focused. I live and breathe it. You can trust that I know how to successfully guide your case through the complexities of the New Jersey courts and justice system. I’ve helped people charged with practically every possible criminal offense, and have achieved some remarkable results for my clients as their New Jersey Criminal Lawyer. I’ve had many juries come back with not guilty in serious cases, including aggravated assault, terroristic threats, and more. And I’ve successfully argued motions for dismissals in cases on tricky technical and legal grounds . Please feel free to ask me about cases I’ve won that are similar to yours in our free case evaluation. Now, I can’t promise you that I can win your case. No honest and ethical lawyer can. But I will pledge to you that I will give you and honest assessment of what you are facing, what I think your chances are, and exactly what I can do to help. 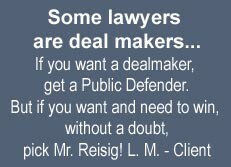 It’s quite possible that the best thing I can do for you is get you the best possible deal in negotiating a plea bargain. I’ll be sure to make that recommendation to you if I think it’s in your best interest, and we’re offered the right deal. However, in my experience, the best defense is often a trial, or at least to always be prepared and threaten to fight everything, in order to squeeze the best possible deal from the DA. Our first meeting or call for your case evaluation is always free, so you have nothing to lose — and you will learn just what your rights and options are, directly from a New Jersey defense attorney who has represented people just like you countless times before. If you decide not to hire me to represent you, it’s only cost you an hour of your time. And for many charges, you may find my flat rates surprisingly affordable. If you are facing criminal charges anywhere in New Jersey and need a lawyer you can count on me for first-rate NJ Defense. Call me now at my offices in Freehold, NJ. (888) 628-8394. Your free, no-obligation criminal defense legal consultation is waiting. I look forward to speaking with you and helping you get through this. Serving all New Jersey cities and townships in defending the rights of the accused. An arrest is only an accusation, not a conviction! Our law offices are in Freehold, NJ / Monmouth County, but we travel to all New Jersey Criminal courts to defend the rights of our clients. For more information, please review the penal code your criminal defense attorney will be addressing. According to the Supreme Court of New Jersey, and pursuant to the New Jersey Rules of Professional Conduct, this may be considered an “advertisement.” Before making your choice of attorney, you should give this matter careful thought. The selection of New Jersey Criminal Defense Attorney is an important decision. If the representations made on this page are inaccurate or misleading, you may report this criminal defense website to the Committee on Attorney Advertising, Hughes Justice Complex, CN 037, Trenton, NJ 08625.